Jose Mourinho claimed that Paul Pogba gave a ‘good contribution’ after coming off the bench in Manchester United’s 2-2 draw with Arsenal. 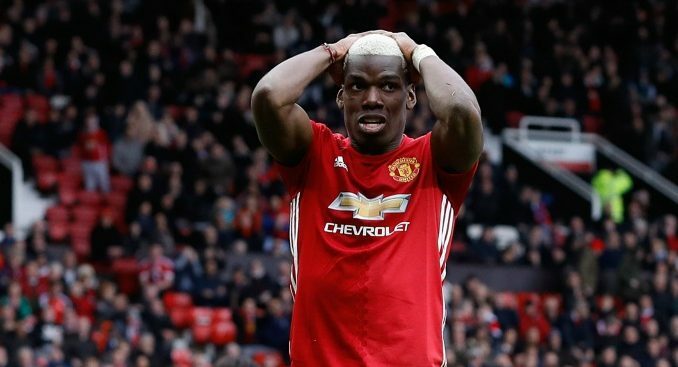 Pogba and Romelu Lukaku were named among the substitutes at Old Trafford following a disappointing draw away to Southampton at the weekend. Pogba, in particular, was far from convincing at St Mary’s and Mourinho exploded at the Frenchman in the dressing room, labeling him a ‘virus’ during a ferocious rant. The midfielder was forced to watch on from the bench on Wednesday night as David De Gea uncharacteristically spilled Shkodran Mustafi’s header in the 26th minute to give Arsenal the lead. Anthony Martial hit back with an equaliser for United on the half hour mark. A frantic second half ensued and Jesse Lingard rescued a point for the Red Devils immediately after Marcos Rojo’s 68th-minute own goal, prodding past Bernd Leno following some lackadaisical Arsenal defending. Be the first to comment on "Is he still a virus? Head coach rates midfielder’s performance after Man United draw with Arsenal"